The term loft apartment (or loft, or loft space) tends to be thrown around – and not always accurately. It’s used as a way to punch up a realtor’s description of a studio or make an apartment sound hip, but a high ceiling and exposed ductwork does not a loft make. 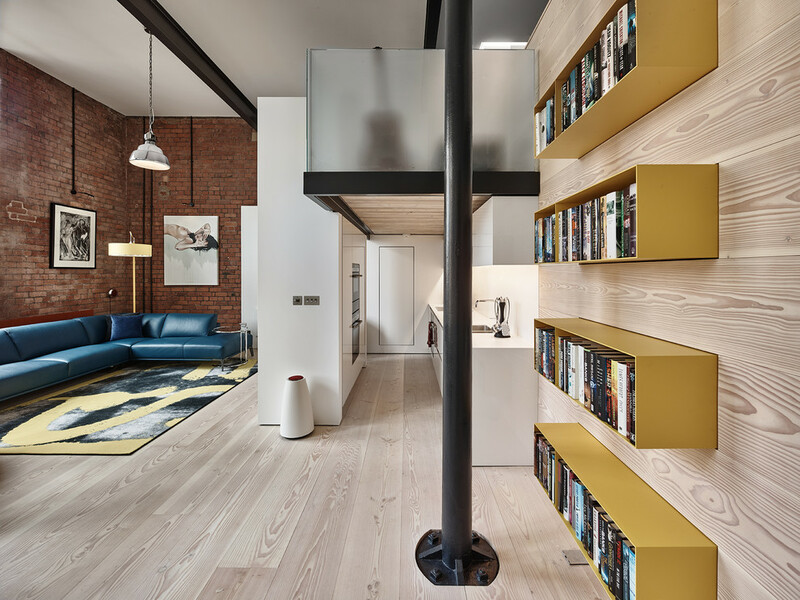 A true loft apartment is defined as a large, open home, a formerly commercial or industrial building converted into an urban living space. 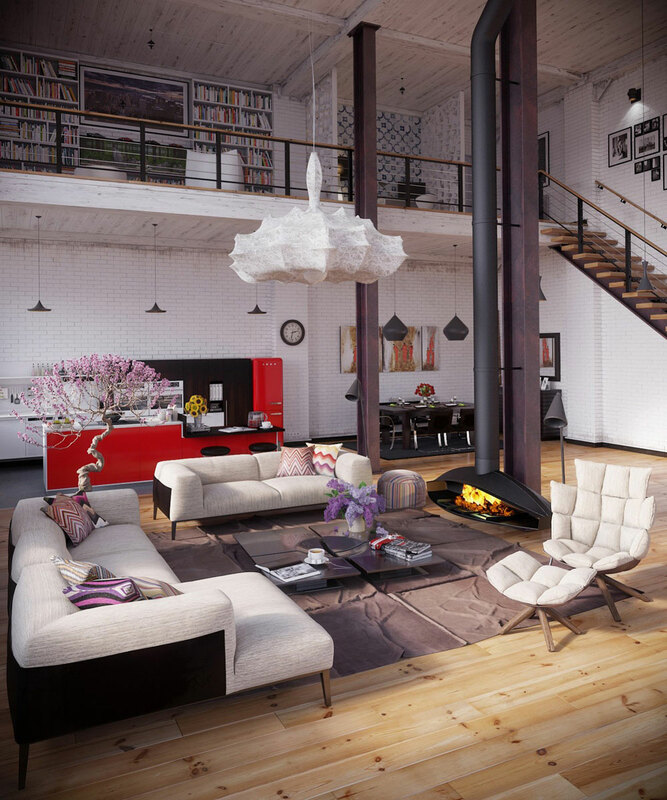 A typical loft is spacious with no dividing walls (think open floor plan to the max! 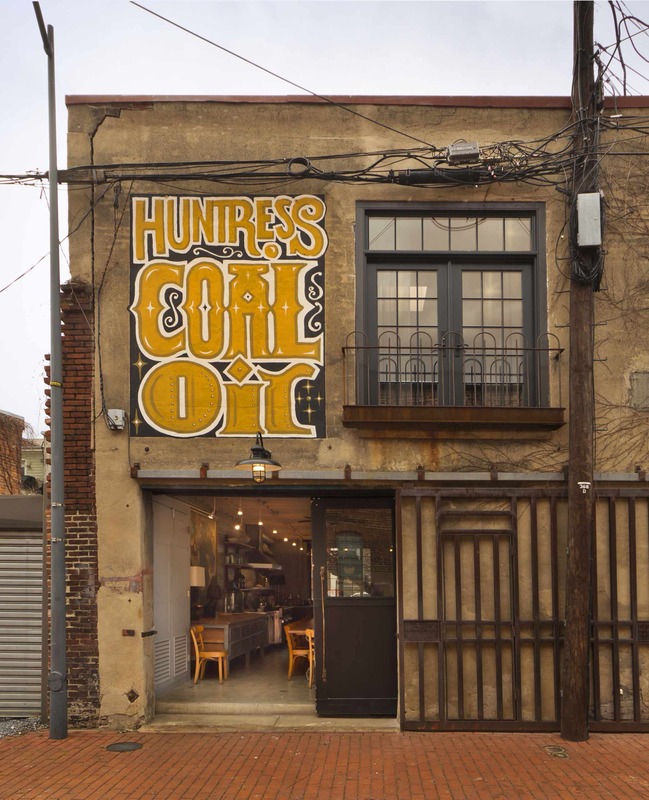 ), high ceilings (12’+), and authentic industrial characteristics (exposed brick or cinderblock, industrial window hardware, exposed plumbing, ducts, gas lines, etc.). 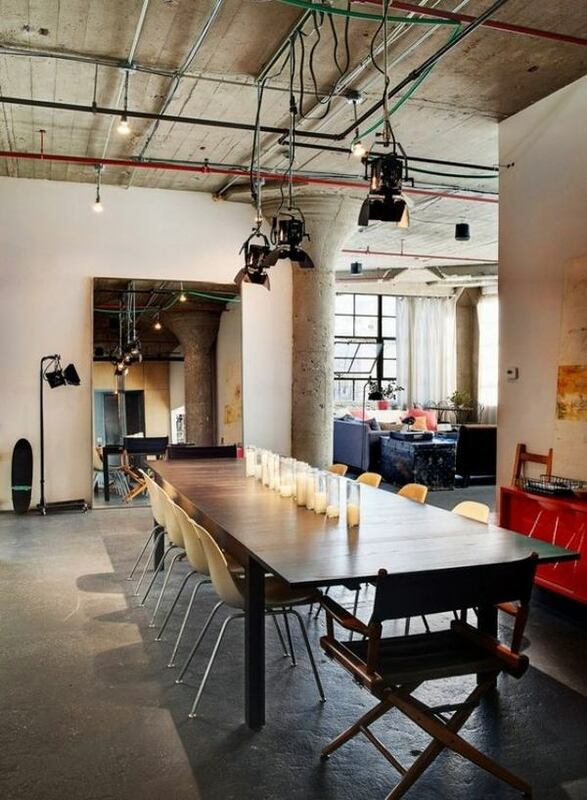 Lofts are generally regarded as the perfect setting for a live/work lifestyle as they were originally popularized by artists. Exterior by Bennett Frank McCarthy Architects, Inc. The great thing about a loft apartment is that it’s a blank space to do what you want with it. No dividing walls = no aesthetic limits! But that advantage can make it hard to decorate. 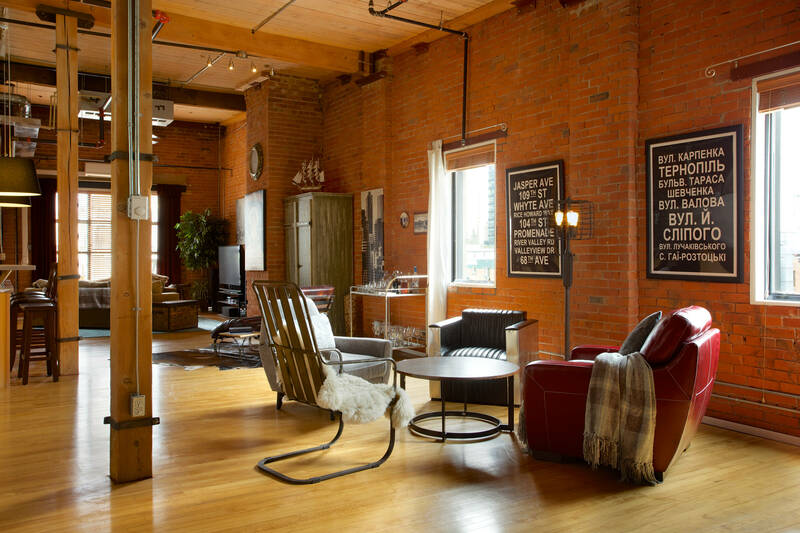 Embrace the character and history of the loft and stay true to it when decorating. An industrial loft is not a place for frilly decor and softness; decorate with industrial accents and furnishings, like austere window treatments like panels or solar shades to protect your privacy even with those huge windows. Most authentic loft color schemes are neutral; personalize it with appropriate accessories and small splashes of color. 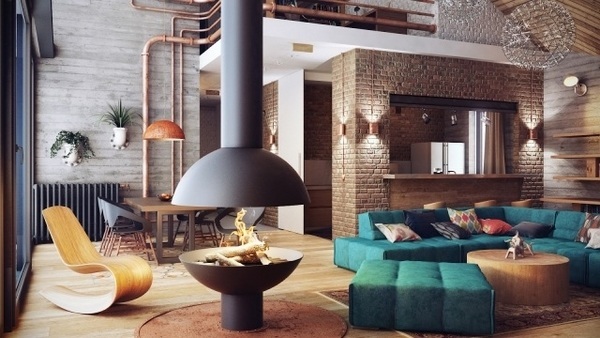 Because a loft apartment is one open space, it’s important to decorate it in a cohesive color and decor scheme. It doesn’t have to be the same throughout (and it probably shouldn’t be; more on that soon), but it should flow – colors and styles should be complementary. Living Room by AMR Interior Design & Drafting Ltd. 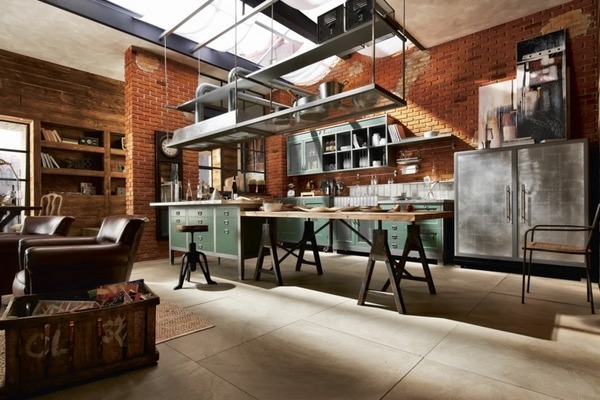 It may be one big space, but a loft should have defined areas to coordinate with your living needs. Use partitions, curtains, sliding doors, or screens to create private spaces; flexible furnishings (sofa beds and other convertible pieces) work well; different (but complementary) colors to define the area; use the vertical space to create a loft within a loft, like a raised sleeping area or workspace. Area rugs are perfect for defining spaces (it’s a design crime to cover those authentic industrial floors with carpet!). Another option for clear delineation is lighting: lower the fixtures for more intimate spaces like dining and sleeping areas and hang them high over more “public” spaces. When you’re dealing with a massive open space, diminutive furniture is not the way to go. Furnish with substantial pieces – light fixtures, furniture, and other fittings – to use the space you have to its full potential. One downside to loft living is a shortage of storage space. 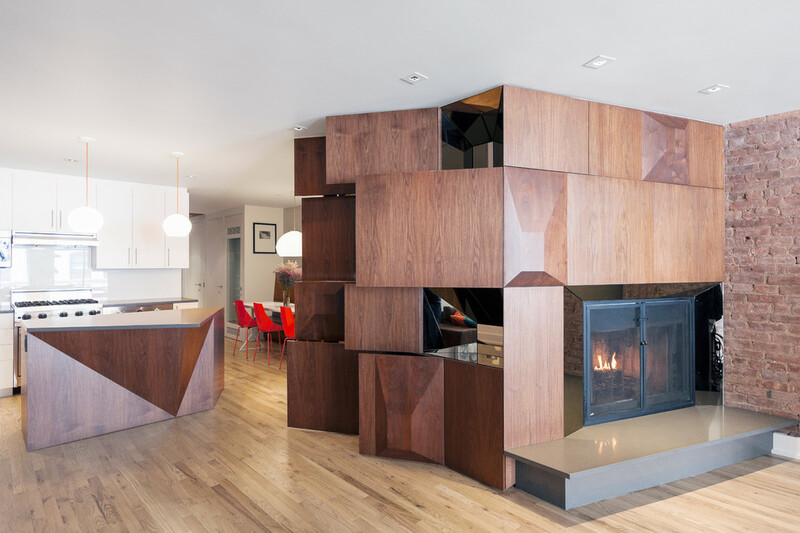 Use the natural niches and height discrepancies to your advantage when adding built-in storage. If you want to create partitions between areas, use portable storage units or open shelving to preserve the openness of the space. Embrace the early days of loft apartments. Decorate the walls ambitiously and dedicate a space (preferably near a window) and unleash your creativity! Do you live (or have you lived) in a loft apartment? Tell us about it! You recommended using neutral color schemes and accessorizing with small splashes of color, when decorating a loft. A close friend of mine has been considering moving into a loft, but was curious as to what to expect. I’ll definitely have to recommend him your decorating tips, as they would definitely make a space look great.